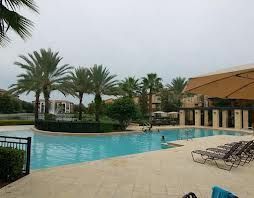 When you want a vacation home in Orlando, Florida, that actually feels like your own private holiday home away from home, you want a resale or rental at Serenata Condominiums. 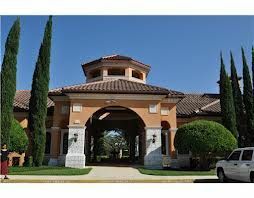 Located on the south side of the city, within easy access of the theme parks, shopping, dining, downtown Orlando, and the Orlando International Airport, these Florida residential and vacation condos are situated in a secure, gated community. 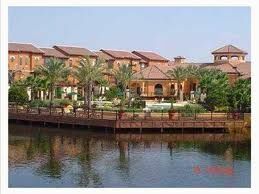 Although these spacious Mediterranean-style townhomes and condominiums are close to everything you and your family want to see and do in the Orlando-Kissimmee vacation area, the community has a quiet, residential ambiance. When you think about this pristine property, surrounded by lush, well-maintained landscaping, can’t you already imagine yourself relaxing on the sundeck by the zero-entry pool, listening to the wind in the palms? 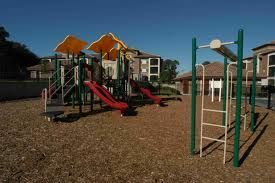 The beautiful Serenata Condominiums have a health club-quality fitness center with a playroom for the kids, a lighted tennis court, and a private clubhouse for owners. On-property at Serenata Condos, there is also a children’s playground, a picnic and barbeque area, and a beautiful, sparkling swimming pool. Other features that owners at Serenata Condominiums and Townhomes appreciate are the onsite car wash/car care area, the 24-hour controlled access gates, and the resort’s media lounge and conference room. You know all the reasons you don’t enjoy hotel vacationing—like uptight business travelers, cramped rooms and noisy neighbors on the other side of thin walls. At Serenata Condominiums and Townhomes, you avoid all the details you dislike about hotel stays, as you enjoy vacationing in a one- or two-bedroom condo or a two-bedroom townhome. With 1386 square feet of space, the two-bedroom townhomes feature a two-car garage on your first floor, and upstairs, a well-equipped kitchen with custom wood cabinetry, two bedrooms, two bathrooms, an in-suite washer and dryer, a balcony with screened enclosure, a security alarm, large windows, and expansive storage. One-bedroom, one-bath villa condos have 731 square feet of space, while two-bedroom, two-bath floor plans have 1138 square feet. 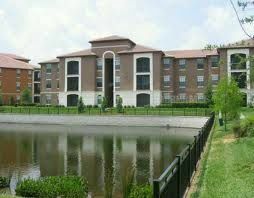 Both beautiful layouts feature all the amenities of the larger townhouses, however, they do not have attached garages. Detached garages are available and there is convenient parking adjacent to all units. Contact Serenata Condos Specialist Today!